Tom and Rich head out from Hawks Cay Resort to check some spots in the Lower Keys for Tarpon. 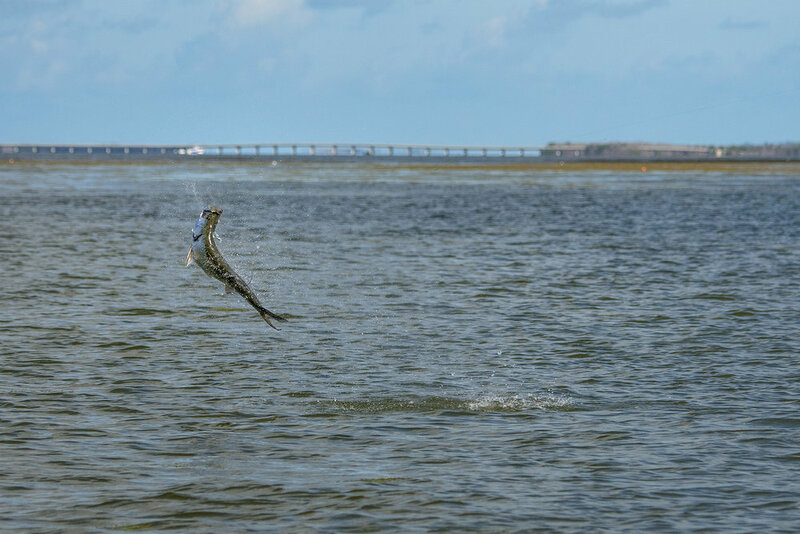 While using their binoculars and the advantage of the outgoing tide they find a good group of Tarpon near the weed lines, but are unable to catch them. They find that using the full sized shrimp and letting the lure sink just under the surface is the trick to getting these Tarpon. Once Rich reels in his first catch Tom realizes a fly rod may work better and finds that he’s able to catch one after a few casts. Check out the episode and some of our favorite images below from Lower Keys Tarpon!